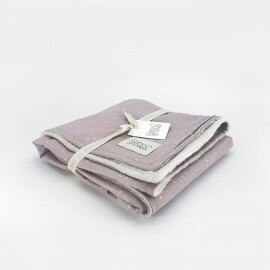 Super soft fleece blanket to wrap up and cover baby. Exterior in 100% Organic Certified printed cotton fabric. Ideal to cover baby during the first days. in the mini-cot. bassinet. inside and outside the house. MEASURES: 66 x 80 cm. So convinient! Practical organiser for health cards. vaccination sheets. paediatrician's prescriptions. analysis . It includes a Velcro pocket for health insurance cards. Super soft fleece blanket to wrap up and cover baby. Exterior is in Liberty London printed fabric. 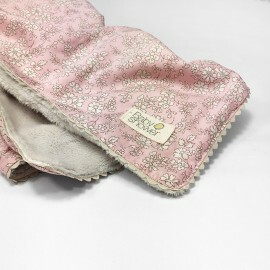 Ideal to cover baby during the first days. in the mini-cot. bassinet. inside and outside the house. 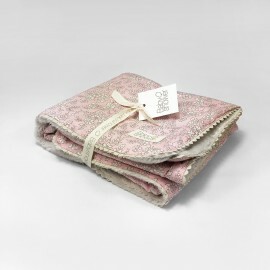 Soft reversible blanket. One side in Dusty muslin, the other side in Sand muslin. Ideal to cover the baby while in the Tinker nest. 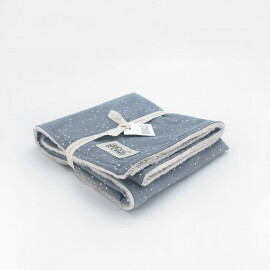 Super soft fleece blanket to wrap up and cover baby. Exterior is in printed fabric with ric rac ribbon trim. Ideal to cover baby during the first days in the mini-cot bassinet. Inside and outside the house. 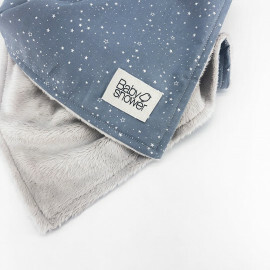 Made with four layers of breathable muslin, our dream blanket's uses go beyond cuddling, as it also makes a snuggly surface to lay your little one on no matter where the day takes you.